These are my thoughts and opinions about life in general. I also get daily prompts from DSP which inspire me to write. 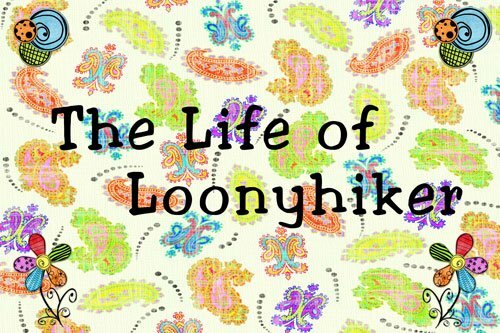 If I throw in some scrapbook pages I've done, photos I've taken, and stories about me, you will have an idea about my loony life! Thank you everyone for your patience while reading about our trip out west. I hope I haven’t bored you with all the details and memories but it was a great trip and I learned so much! As I wind up the trip I thought I would share with you some statistics from our trip that I found interesting! Please come back next week for my regular educational topic posts! 5. Things learned: impossible to number! 6. Budget: 61% spent on lodging, 26% spent on food, 8% spent on gas, 5% spent on other. 8/26/11: We are winding our way back east. We left Cortez, CO this morning and headed east by way of the scenic byway. We went up to Ouray and came down the Million Dollar Highway to Silverton and Durango. The mountains were absolutely beautiful! There was even snow up on the mountains. I was surprised that temperatures went from 94 to 54 when we got above 12,000 feet elevation. Eventually we ended up in Alamosa, CO for the night. 8/27/11: Today seemed to go on forever! The road we planned on taking (Hwy 10) was closed and we had to go down to Trinidad, CO to cut across to Hwy 50. It was all flat and boring. We stopped a couple of times but didn’t find any treasures. Finally we got to Hutchinson Hampton Inn. We went to Fazolis for dinner which is like fast food Italian dinners. 8/28/11: We had a really nice drive today until we got near St. Louis and the traffic got thick. We finally stopped in Mt. Vernon, IL for the night at a Hampton Inn. At least we are on the far side of St. Louis so we won’t have to fight the traffic tomorrow morning. 8/29/11: Planned on stopping in Knoxville for the night but we were so close to home (about 4 hrs.) that Don pushed it and we got home about 9pm. By the time we unpacked most of the stuff, it was midnight. And then we were so keyed up and overtired, we didn’t go to bed until 2am! It was a nice drive home but it seemed like it took forever! · There are major temperatures changes when you get higher in elevation. · It is best to go through big cities on the weekend! Posted on the Successful Teaching Blog by loonyhiker (successfulteaching at gmail dot com). We had a nice drive from Monticello, UT to Cortez, CO. Along the way we found a great antique shop where Don found some treasures. When we got to Cortez, we got a room at the Baymont Inn before heading to Mesa Verde NP. The drive was beautiful. We stopped at the overlooks and enjoyed the scenery and the cliff dwellings. It always amazes us when we see these and think of the people who lived here and their lives. We also found a Walmart to refill prescriptions and bought some supplies. We looked at the map and decided that tomorrow we will head towards Durango and Great Sand Dunes National Park. · I’m glad that I didn’t live in the days of the cliff dwellers! · President Teddy Roosevelt made Mesa Verde a national park in 1906. · The elevation of the park is above 8000 feet. We had a long day driving today. We went through Bryce Canyon NP, Capitol Reef NP, Glen Canyon NRA, and Natural Bridges NM today. We didn’t get to do a lot of hiking because it was thundering most of the day and it is not a good thing to be the tallest thing out on high ground during that time. We did stop and take lots of pictures though when we could. Eventually we stopped in Monticello, UT for the night at The Monticello Inn ($54 per night). · Natural Bridges NM was Utah’s first national monument. · The scenic road in Capitol Reef NP was closed. There is lots of construction going on in all of the national parks. · Lake Powell is the second largest man made lake in the US next to Lake Mead and is located on the Colorado River. It was made by damming up the Glen Canyon with a controversial dam. We left Zion National Park and headed for Bryce early this morning. We saw big horn sheep and mule deer along the way. We had a wonderful breakfast at the Thunderbird Restaurant in Mt. Carmel Junction. My breakfast had a piece of country ham that was about a half inch thick and covered my 10 inch plate! Plus I had 2 eggs, hash browns, and toast! Along the drive we stopped at the Dixie National Forest Visitor Center and hiked on the trail around the hoodoos. We are staying at Kodachrome State Park in the Red Stone cabins which are nice. There is a microwave, oven, and full bath along with 2 double beds. It is a nice change from 6 days of camping in a tent. I did get to knit a little on my shawl but as it gets bigger, each row has more stitches. We ended up exploring the park and doing some hiking around the sand pipes. They views were beautiful but it was hot and dry outside. Eventually we headed back to the cabin where the air condition would keep us cooler. · Kodachrome Basin SP is filled with rock formations called sedimentary pipes or sand pipes. · Many of the sand pipes look like phallic symbols. · We save a lot of money by using the microwave or coffee maker to make our own dinner in hotel rooms. · Sunset after a rain storm is spectacular! Day 1: This morning we left the Grand Canyon North Rim and headed for Zion National Park. As we passed through Kanab, UT, they were having the 13th annual Western Legends Festival. I was able to take pictures of Clint Walker, Paul Peterson, James Stacy, Kathy Carver (Cissy from Family Affair), Tommy Kirk, Ed Faulkner, Joel McCrea. We walked around the booths and admired the different crafts available. After stopping at a couple of grocery stores, we were on our way. When we left there we stopped at a couple of antique shops in Orderville. We also stopped at some rock shops so I could find some rock disks to make a drop spindle. We arrived at Zion and set up our tent at site B14. It is a beautiful spot with trees around us. We drove to Springdale for a block of ice and then went to the visitor center for info. Then we decided it was time to swim in the river (no showers in the park). After swimming we ate dinner (Doritos and bologna). When the stars came out, it was beautiful! We even saw the milky way! It was so beautiful we almost didn’t want to go to bed! Day 2: I woke up to a really windy morning. It was still dark outside when I got on the computer and waited for the sun to come up. Don finally got up and we took the free shuttle to the Temple of Sinewava to hike in the Narrows (a slot canyon). On the way we saw Condors up in the trees and in the sky. We started hiking at 10am and we finished by 5pm after hiking at least 10 miles in the river. I only fell twice! The water came up to my chest on the way in at one place and on the way back it was up to my neck. That was the scariest part. There was lots of rock and boulder scrambling but it was well worth the hike! I think it was the best hike I’ve ever done (maybe because it was different). Day 3: We had another windy morning which must be usual in the canyon. I played on my computer in the dark until hubby finally woke up. Our breakfast of bagels, garlic and herb cheese and a slice of bologna has really been a hit! Then we rode the shuttle through the park to the Lodge where we looked around. Eventually we even got a soft serve ice cream ($2.50). After that we went to the museum and another ranger talk about ravens. By this time, it was lunch (do you notice a lot of our day has revolved around food?) so we went to Blondie’s Diner in Springdale which was right outside the park. I had chicken strips and fries for $6.95. The food was so good that we decided to go back for dinner that evening. In the heat of the afternoon when the temps reached 103F, we played in the river to keep cool. At 6:30pm we went on a 2 hr. bus tour with the ranger through the park and enjoyed that. After that, we were back at Blondie’s where I had an 8 oz. steak, salad, potato, and vegetable for $14.95. It was a great day! · Many movie stars look nothing like they did when they were young and famous. · It is hard to find a rock disk. · The wind is pretty strong down the canyon in the morning. · The water was 62 degrees F.
· In 1909 this area was made into a national monument by President Taft and called Mukuntuweap National Monument. In 1919, it became Zion National Park. · This area gets an average of 15 inches of rainfall each year. Day 1: On the way to the Grand Canyon at the North Rim, we stopped at Pipe Springs National Monument. I had never heard of this but I’m glad we went. This was the only water source for the area and a Mormon settlement was built right over the spring. This settlement was used to hold the tithing herd from the Mormon Church and also served as a hideout for the many wives when the anti-polygamists were looking to arrest the husbands. It also served as the first telegraph office in Arizona. I met a Native American who was making cordage out of yucca fibers. I also met a volunteer who was chipping obsidian to make arrowheads for tools. His wife brought out her drop spindle to show me how she makes yarn. What I thought was interesting was that her drop spindle was made from a stone disk that she bought from a rock shop and stuck on a branch from her yard. At the Grand Canyon, we are staying in a Pioneer cabin with 1 queen bed and 2 bunk beds plus a futon double. There are 2 rooms with a bath and shower. It is pretty nice here. After 2 days w-e are moving to the Campground (site 64). We ate the pasta lunch buffet at the lodge ($13.95 including drink per person). We attended the geology talk which was a pretty good talk. After exploring, we attended the Condor talk too. Then we walked the Transcept trail along the rim to the campground. For dinner we shared a pint of Haagen Dazs Pistachio ice cream. We did see a bike company use the handicapped parking as a loading and unloading zone. (We took pictures and I will probably write to the company about this.) At 8pm, we attended the evening show about the Colorado River. Day 2: The heat and the elevation has been hard on us. We hiked to the campground and back for a hotdog and ice cream. The price of food has been outrageous! In the afternoon, we came back to the cabin and rested while watching TED videos on my ipad. In the evening we went to the ranger program about the Geology of the North Kaibab Trail which was really interesting. Day 3: Don woke up not feeling too well today and had a pop tart for breakfast. Then he crawled back in bed for about 2 hours before we had to check out of our cabin. After having the pasta buffet for lunch, we headed to the campground where we will be staying for 3 days. It was hard putting up the tent in the heat of the day. After setting up the tent, we relaxed for a little while. Then we drove around to Point Imperial. After doing some research, we decided Don was throwing off too many minerals from drinking too much water (mimicking heat exhaustion)and he had a package of salt and some salty pretzels which made him feel better. When we returned we had ice cream again for dinner (Haagen Dazs Amaretto Almond Crunch). In the evening we went to the Ranger presentation in the amphitheater on Grand Canyon geology. Day 4: I woke up early and sat outside the tent waiting for the rest of the world to wake up. I listened to some podcasts on my Ipad and knit on my shawl. After a very light breakfast (poptarts and cookies) we took a drive to the Vermillion Cliffs where the Condors were released years ago. Then we drove to Cape Royal and did some hiking. By then the afternoon thunderstorms arrived and we went back to our campsite to relax. Dinner was ramen noodles. Day 5: For breakfast we ate oatmeal and granola bars. We had a lazy day and spent it at the campground. It was overcast and we had some showers in the afternoon but not enough to even wet the ground. We did take the opportunity to do some laundry and eat more ice cream. I think 5 days was too much for the North Rim and we would have been happy with 2 or 3 days. · I had to change the time on my watch because Arizona is in standard time and doesn’t change their time like everyone else. · A raven has a wing span of 54 inches. · We are at 8500 ft. elevation here in the North Rim. · Make sure the air pump for the air mattress has fresh batteries or it will take forever to pump up! · Ice cream makes a great dinner! Early in the morning we left Moab and headed to Kanab, UT. On the way we stopped at an antique store and bought some treasures. We took a side trip to Cedar Breaks National Monument. There were 2 – two mile hikes there. One of them was to a Bristlecone Pine Tree that was 1600 years old. The other one was to an Alpine Pond. I was surprised when I had to put on a jacket because it was so windy and cool here (compared to the extreme heat of Moab!). We finally arrived at the Parry Lodge and was given the Yvonne DeCarlo (Lily Munster from the TV show The Munsters) room. She stayed in this room when she was filming in town. Many western movies were filmed in the area and the famous people stayed at this hotel which is nicknamed “Little Hollywood.” At 8pm each night, they show an old movie in the barn. · Franklin D. Roosevelt established Cedar Breaks National Monument in 1933. · Cedar Breaks National Monument was above 10,000 feet in elevation. · The Parry Lodge is called “Little Hollywood” where famous actors and actresses stayed while making movies in the area.